…is never easy, but in today’s climate it’s never been harder. Bankruptcies and foreclosures are leading to lower credit scores than ever, and prior evictions are common. So never accept the first applicant to put a check in your hand. You may have to show your place a dozen times before finding a qualified tenant. Why? Because it’s worth it. Taking a quick renter might make you happy in the short run, shortening your vacancy time, but experienced property managers know that having to evict them three months later for non-payment of rent costs everyone more money in the long run. And it’s not just about court costs: You can be sure you’ll lose a least couple of month’s rent to the eviction process itself, not to mention cleaning up any damage that might have been done. So think twice before you choose your MetroWest property management company based on what looks to be a lower monthly charge. Because like everything else in life, property management companies will give you the level of service you pay for. The Madison at MetroWest Condominium Owners Association does not assist owners with renting out their condos. You must contact a third-party property manager for assistance with this such as the brokerage below. 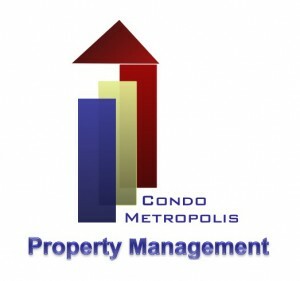 Orlando Condo Property Management is now onsite at the Madison MetroWest. Call: (407) 901-5161 or email: Info@CondoMetropolis.com to contact an agent.